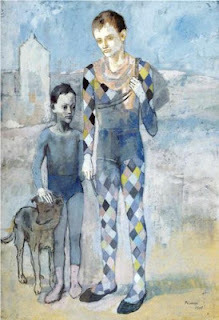 Yes, I know Picasso’s celebrated painting, and the ABS July Challenge, is entitled Two Acrobats with a Dog, but it required the help of a third acrobat to get my design off the ground. 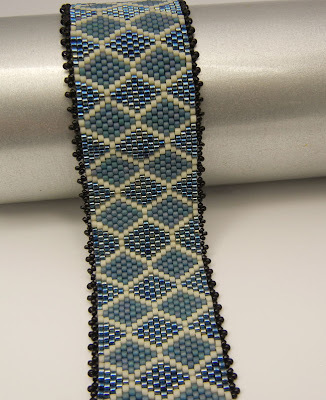 I envisioned a fluid cuff in a harlequin pattern, but every sample I stitched was a false start: deep blues and soft grays that looked fantastic on my bead tray turned dull and disappointing when stitched together. The addition of the painting’s soft rose and yellow-green rendered the pattern too distracting. I set the project aside and welcomed a nice, week-long visit from my sister. We headed to Fresh Market one afternoon, on a quest to replicate our mother’s perfect pork chops, and I encountered this acrobatic wonder in a display at the checkout counter. All that remained was to embellish the surface. 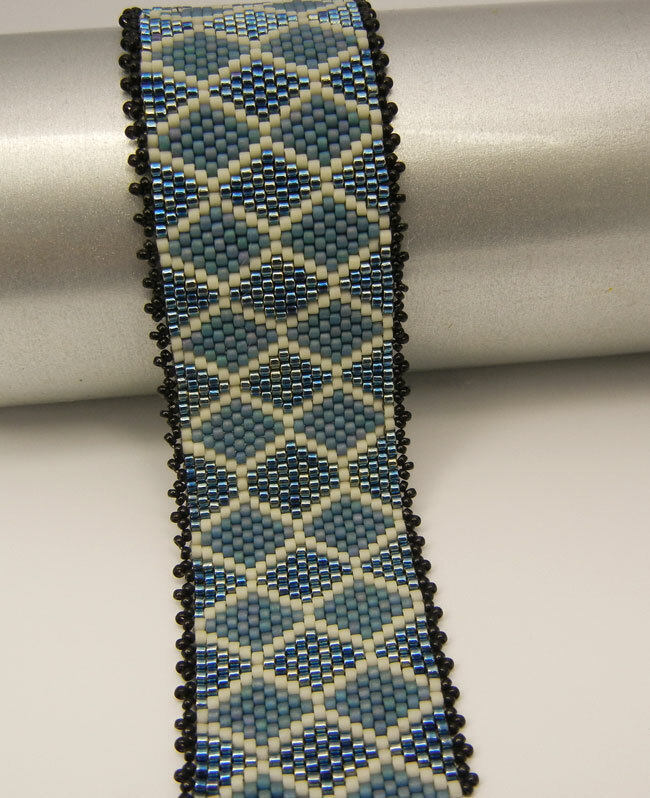 A Marsha Neal earring-size bead in the colors of Picasso's sky was bezelled into a button, and serves as both the closure and focal of the cuff. A ruffled loop and accents of silver filligree topped with the painting’s blues and yellow-greens inject a bit of whimsy. And now it will be wrapped, packaged and sent off to the 7000 Bracelets for Hope project. Take a moment to click on the ABS Flickr page to see all the inspiring entries for this month’s challenge. You worked the problem out beautifully and with a stunning result in the end. The recipient will be thrilled. How generous of you to give it away. Karin, it is absolutely stunning! I don't even want to think about all the counting you had to do! I'm so glad I got to see it in person - great job! What a great design, wonderfully complemented by the pretty beads! Love the diamond pattern. It's hard not to over think projects sometimes. It turned out gorgeous! Wow - love the pattern and love it when inspiration strikes! Gorgeous piece!!! Love the stitching on the toggle loop. The matte and ab finish really makes the pattern pop. Your cuff is beautiful and I enjoyed reading the story behind your creation. Beads and chocolate is there any better combination? 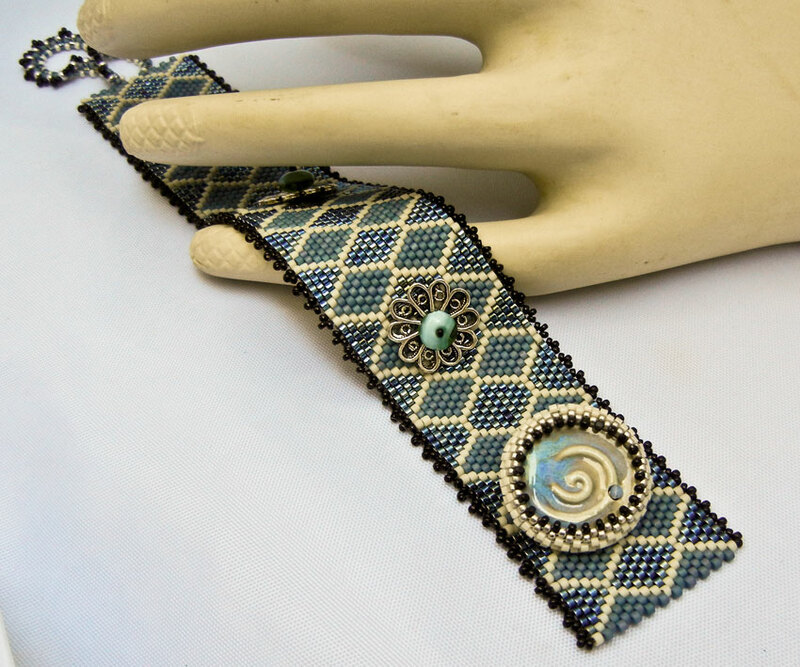 Karin, just came from ABS where I saw your gorgeous cuff win you Featured Designer of the Week. It is well deserved...congratulations! Wow, this bracelet is amazing! 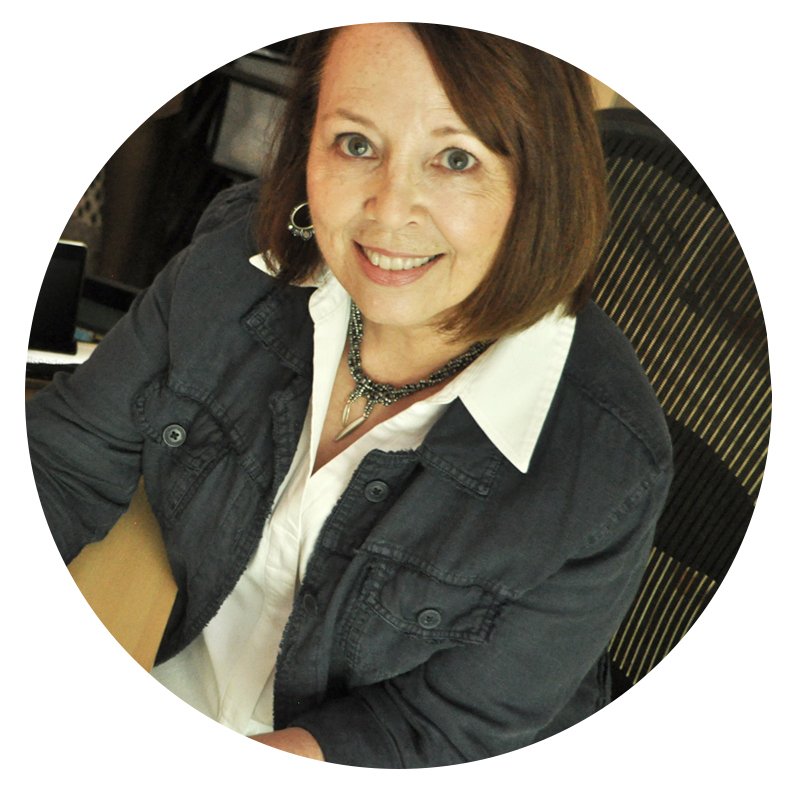 And I love the look of your blog. Stunning! Well Done! Great pattern, good colors, terrific accent pieces. Beautiful on it's own, then you add the components and it's a real standout! Great piece! Congrats! Awesome. The fact that it is inspired by chocolate just makes it sweeter.